I bought a couple of them recently and they work exactly as described. (5 stars) Works Like a Charm ! 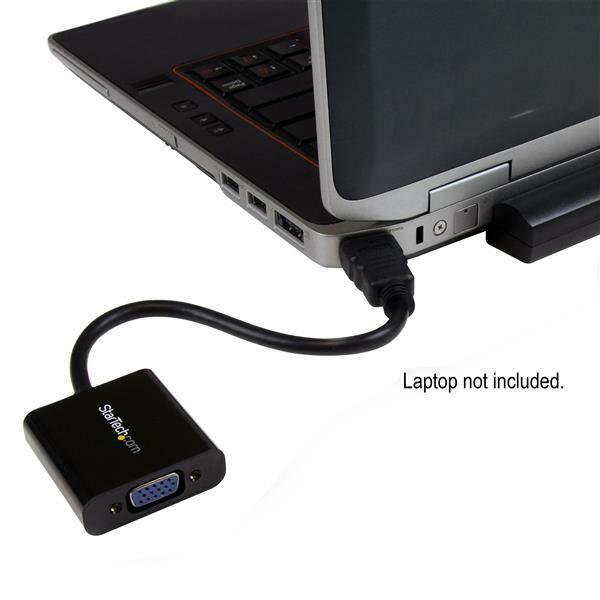 Purchased this item for my HP Envy 19 Laptop. 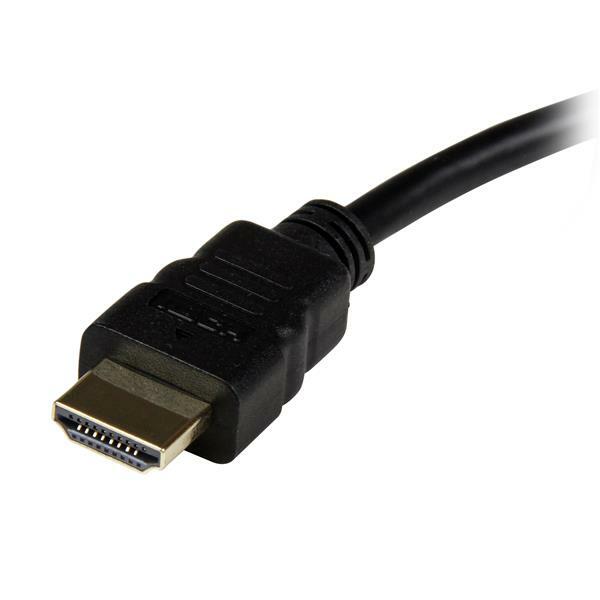 Laptop only had a HDMI connection and my monitor only had a VGA connection. 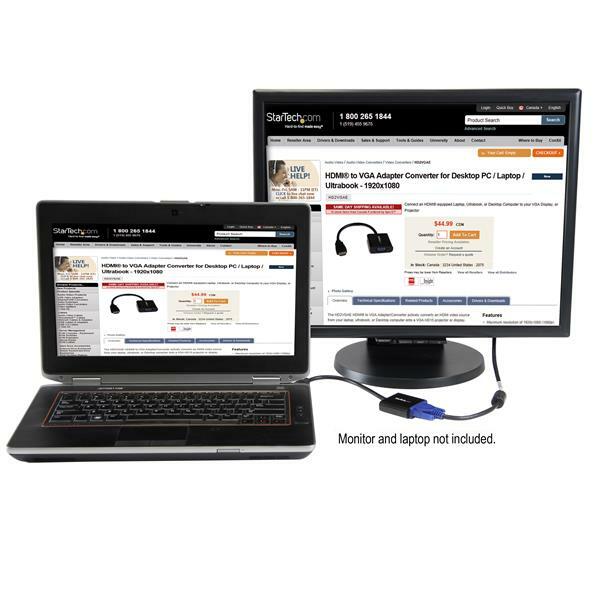 Didn't want to buy a new monitor so gave this a try. It connected with no issue and works great. Highly recommend this item. Bought it to watch blu-rays from player on VGA LCD, but the screen output is just video black, no image. When you plug this converter in you get video but no audio. Not even out of your laptop. Hi there, The HD2VGAE2 is a video-only adapter. 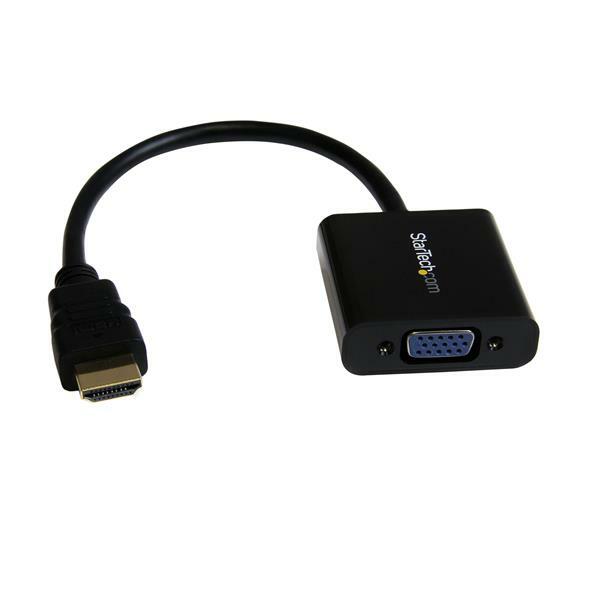 For HDMI to VGA with audio, the HD2VGAA2 (http://www.startech.com/HD2VGAA2) is a great solution.